ALL PETS WITH FLEAS MUST BE TREATED! NO EXCEPTION! Twin Lakes Pet Resort & Spa is a FLEA-FREE ZONE. The health and well-being of all pets are our top priorities, therefore, we have a strict policy regarding pets with fleas. We act swiftly and thoroughly in order to prevent other pets from coming in contact with fleas. ~ DO NOT bring your pet into the Resort or Spa until you are given permission. ~ DO NOT allow your pet to walk in the grassy areas. ~ Check-in and please be patient while we prepare for your pet. ~ You may be asked to administer the Capstar®, for safety purposes. ~ We will attempt to contact you. ~ A Flea Treatment will begin immediately. ~ You WILL be held responsible for all charges incurred. A flea treatment price is added on to a regular Spa bath/groom service. If the pet is staying at the Resort, a base bath service plus flea treatment will be charged. ~ While your pet is at the Resort or Spa, wash all of their bedding in hot water. ~ Treat your home/yard or contact a pest control company. ~ Treat the carpet/upholstery in the vehicle that you transported your pet in. 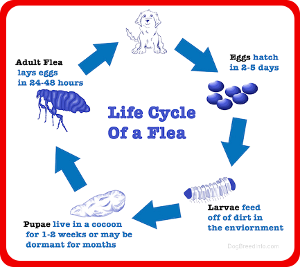 ~ Purchase a flea preventative.